The ever-so-popular TwoFace sunglasses are now available with a taller lens in the new Oakley TwoFace XL sunglasses. 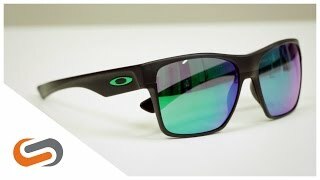 These popular Oakley sunglasses feature a rare look with the construction of an O Matter and aluminum mixed rim. Oakley TwoFace XL sunglasses are contructed with clean lines, a comfortable Three-Point Fit for precise optical alignment, and a frame that suits medium to large faces. If you need a pair of clean looking prescription sunglasses, the SportRx opticians will custom-craft Oakley TwoFace XL prescription sunglasses.